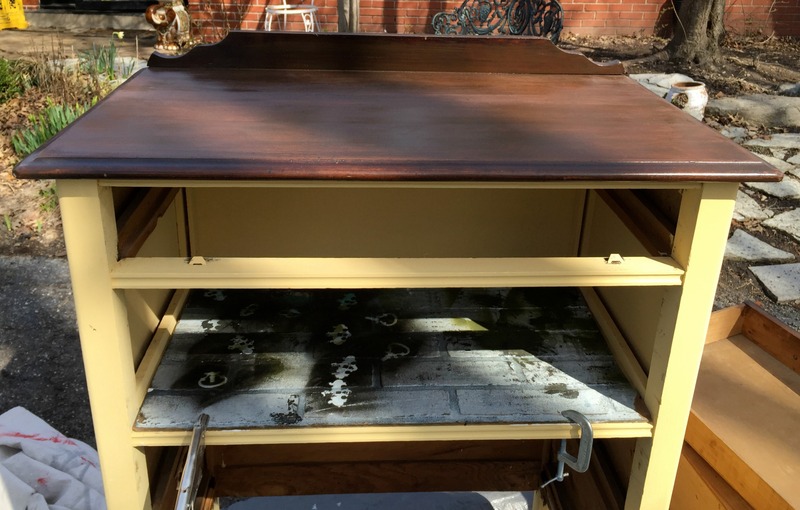 This dresser was originally on wooden wheels. The dresser had two broken wheels, and one drawer completely missing. What was left was scratched and in sad shape. I removed the remaining wheel. 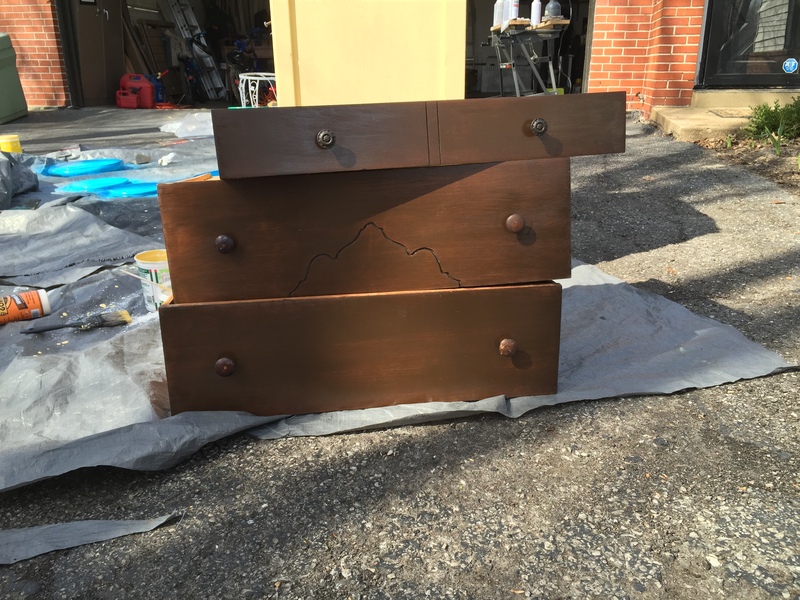 I sanded the drawer fronts and the top and stained it darker than the wood was originally. I made my own chalk paint with a soft yellow paint from Sherwin Williams called “Bees Wax.” I then used my new fun toy jigsaw to cut a piece of plywood I had on hand in the garage to make the shelf. I painted the shelf and all the insides with the yellow. I bought two dark brown baskets (once I remembered to take my tape measure to the store). The photo is dark and it is hard to tell. If you remove the baskets every area you see is the same yellow. The cost for this dresser and the entire project: less than a pizza! Lovely and ingenious . Proud of you .